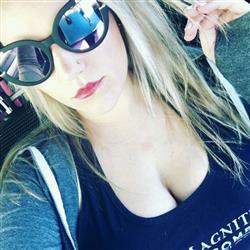 "I absolutely love these sunnies!!! I have received so many compliments on the looks of these glasses. I would recommend these to anyone." 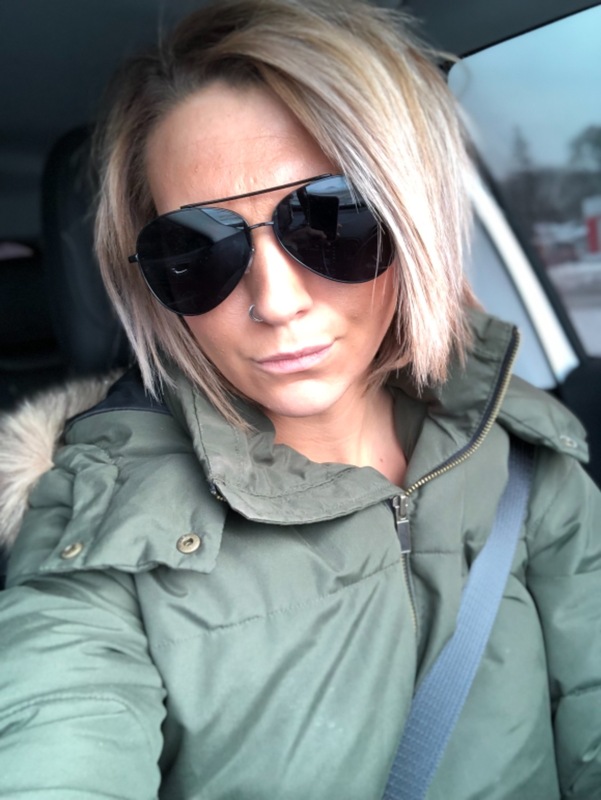 "Really nice sunglasses and compliment every outfit, already planning to buy another pair "
"I absolutely love these sunnies! Not only are they freaking adorable but they match all my cute outfits. I can’t get over the style, hands down, my favorites pair of sunglasses. Super super cute! Highly recommend to any boss babe looking for something a little different to really stand out from the crowed 😎 ❤️Leila- Boss babe in the making "
"First time I’ve ordered and overall very impressed! Shipping was super fast and for the money I gotta say they are super cute and fantastic value! Can’t wait for proper summer so I can wear them all the time :)) "
"Love them! Best yet! Can't wait to buy more! " "My favorite sunglasses so far! I can’t wait to get a new pair. Posted a picture on Snapchat and I keep getting asked for the site! " "I get compliments on these every time I wear them! Great quality"
"I love these! 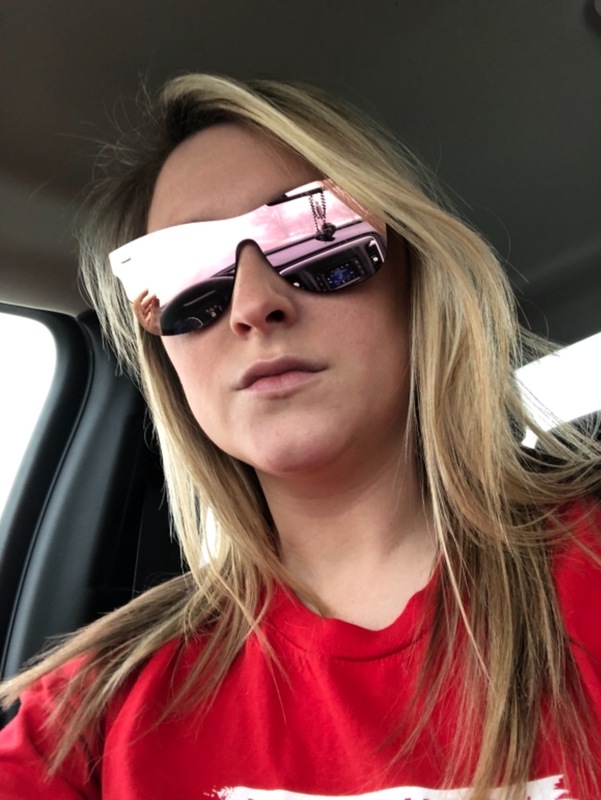 So comfortable to wear, they look great on pretty much everyone, and they help against the sun better than most sunglasses! " "These are such fun Sunnies to wear! I love the fit and the color goes with so much! Absolutely LOVE these! If you're wanting fun, stylish, and reliable Sunnies this pair is the pair for you!!! " 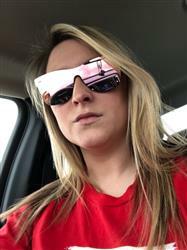 "I love these glasses, but I actually purchased them them for my sister!! She can’t stop wearing them, they have become her fav’s!! So sleek and comfortable, yes I tried them before I passed them over!! Lol 😜 couldn’t help it! " "Love them all especially these "
"Absolutely love them!! So cute! I get so many compliments on them! " "UGHHHH!!! These sunnies are to die for. I am totally obsessed and WILL be buying the others. They fit so comfortably on my face, they don't slide down and they also don't leave those annoying marks on my nose from the nose pieces. I like big eyelashes and because of that my sunglasses always touched them and felt uncomfortable. These do NOT do that. There is plenty of room for my lashes. The reflection from the glasses is on point, you could take a selfie within the glasses they shine so nice. The packaging they send them in is awesome especially the little case it comes with. I would recommend these to anyone and everyone! Get you some Topfoxx sunnies babes! >3 "
"Gorgeous! Quality is awesome and anyone who borrows them also loves them!" "Hiii! 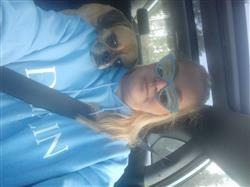 I love my Lucy blue light blockers glasses! I am so excited to tell you that they are amazing. I can’t wait to see the difference in my wrinkles and eye sight. I can’t wait to tell all my friends and family that they need these in their lives!!" "I love them! They're so pretty! Really wanting to order another pair. " "Great product, love how reflective the sunnies are! Very cute style and feel well made! Would recommend!!!" "I just got my Lucy’s in the mail &amp; I have been living in them! I am AMAZED at the technology of these—I can feel them blocking out the blue light! I can’t wait to see the impact these have diminishing my migraines. I highly suggest these to everyone! Also, I get so many compliments and they fit my fave perfectly!" "These fit any face shape and make you feel amazing when wearing them. Definitely a head-turner! " "These are INCREDIBLE! You can legitimately see them BLOCKING the blue light! I keep headaches and I have not had a single one since wearing these this week! I love this specific pair so much because they are classy and look good on EVERYONE!" "I have a hard time finding glasses that don't slide off my face AND look good but these check off alllllll the boxes! I am obsessed and I recommend them to everyone! The standard shipping was super quick, also!" "So easy to order, the pair I desired to have was in stock and I got them at a very reasonable shipping speed. 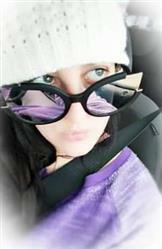 They are my all time favorite pair of shades!" "Absolutely love these. The look of them is exquisite. I got the polarized ones, and I am very happy with the amount of sun protection. My only concern is their weight and if it is going to be bothersome after warring for a while. " "Stylish sunnies my favorite color is purple so i loved these and had to get them when i saw them. Makes my a casual outfit look so stylish. Also they fit PERFECTLY 😎💁"
"I need these in EVERY color! I love the plastic nose bridge. " "I’m not super flashy and these are PERFECT!! Just the right amount of color and shine. I love them. " 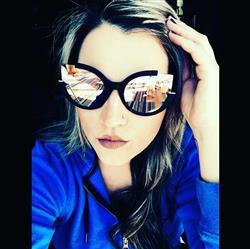 "Love love these Sunnies!!! " 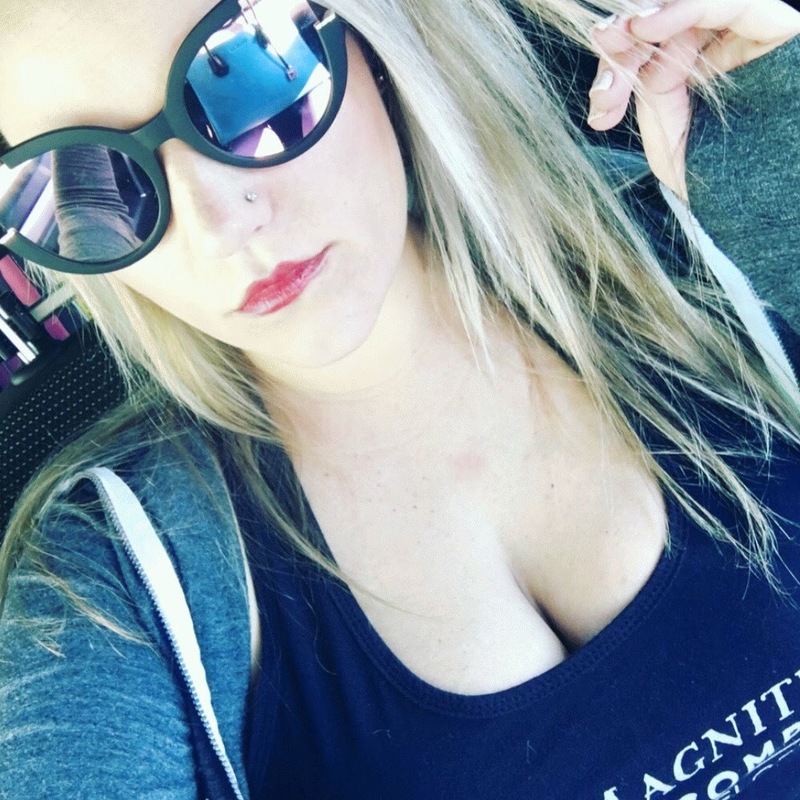 "I absolutely love the sunnies i got last summer ...they are so stunning and beautiful... 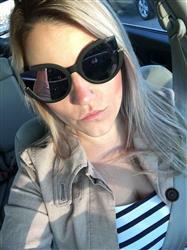 Very unique their the chloe pink and black sunnies"
"Love them so much! I would love to get my own code for my followers to use! " "These meow sunnies are my fave wired pair. The mirror is oerfectvto hide what I’m staring at. "